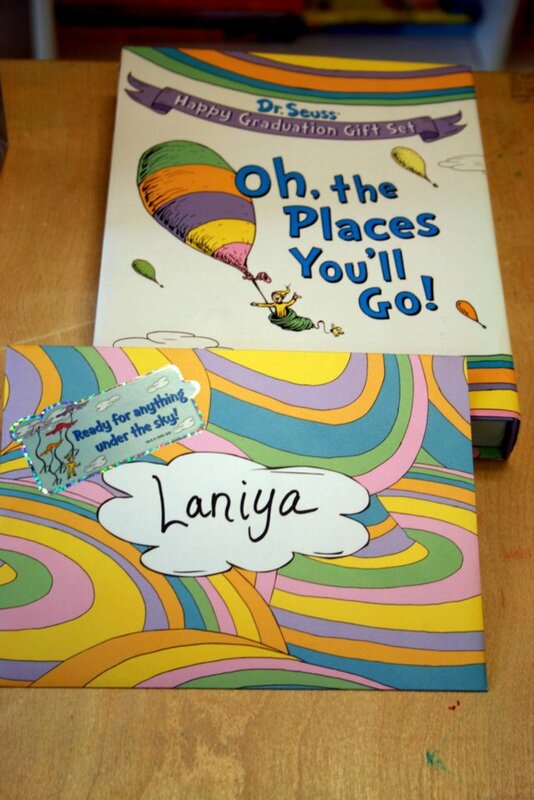 Oh, the Places Laniya Will Go! Laniya clapping with the crowd. Family, friends and staff gathered on Tuesday afternoon to two-year-old Laniya’s graduation from the Infant and Toddler program. Laniya proudly sat in her high chair, donning a Dr. Seuss-themed mortar board and holding a diploma that fit perfectly in her tiny hands. Whenever the crowd clapped, she clapped too. Since her arrival at St. Mary’s Home in August, Laniya has developed in tremendous ways. She has been surpassing goals faster than her mother and Early Intervention Technician Stephanie Bailey could set for her. As a result of much time and a consistent classroom routine, Laniya is now reaching crucial milestones, including walking and imitating others. St. Mary’s Infant and Toddler Program focuses on children in the Home up to two years of age. The program uses detailed lesson plans to build motor, communication and social skills. The program also emphasizes getting the children out into the community and encourages play dates with other children who do not have disabilities. 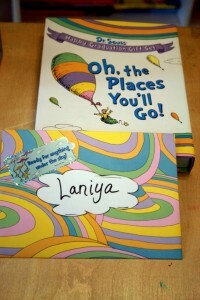 The theme of the graduation was Dr. Seuss' "Oh, the Places You'll Go!" 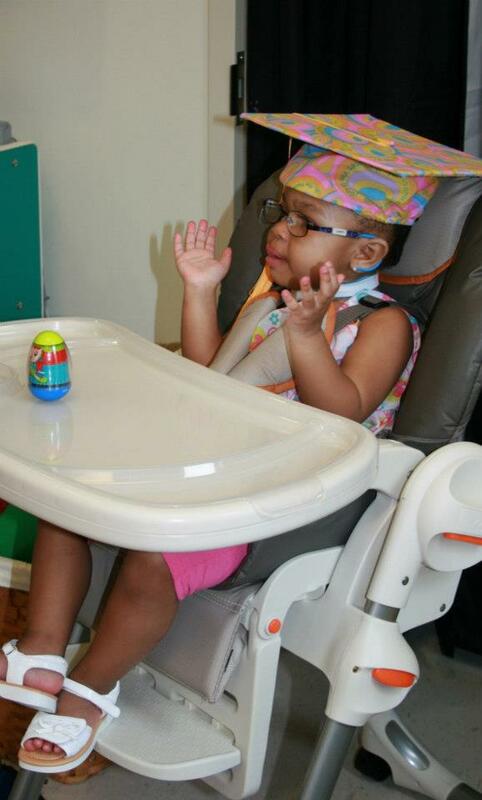 Though Laniya has graduated from the Infant and Toddler Program, she will be continuing her education at St. Mary’s. Laniya will start school in the fall through the Southeastern Cooperative Education Programs. Just like every child and young adult at St. Mary’s, she will receive an Individualized Education Program; hers will focus on improving communication skills. Laniya, like other students, will enjoy a summer vacation before she hits the books in the fall. Her mother and Bailey hope to line up some fun activities, including going to the beach, the park and the aquarium. To see photos from the graduation, please visit our FaceBook page. This entry was posted in infant and toddler program, Uncategorized by marcomm. Bookmark the permalink.